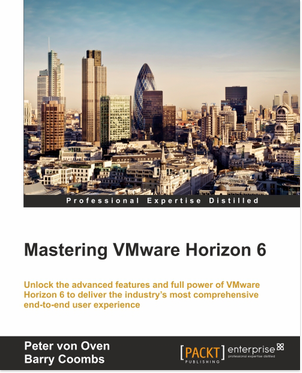 This week VMware have held their annual US event in San Francisco and as usual there have been a mass of updates. In this post I will focus upon vSphere 5.5 and what’s new but we have also seen a number of other releases and announcements in key areas. The updates to vSphere are separated into 5 key areas, ESXi Hypervisor Enhancements, Virtual Machine Enhancements, vCenter Server Enhancements, vStorage Enhancements and vSphere Networking Enhancements. Having a quick look through the list their are some updates that I know a number of my customers and colleagues will be very happy about, these include support for VMDK’s up to 62TB in Size, enhancements to single sign on as well as others. There are three key enhancements for the Hypervisor these include the ability to hot add or hot remove PCIe based SSD devices such as Fusion-IO Cards, traditionally this may have been seen as a disadvantage of this type of SSD over SAS or SATA based hard disks. The ESXi Hypervisor is now able to make use of the CPU’s Reliable Memory Technology to ensure the hypervisor is running keys processes such as the hostd and watchdog process in the most reliable areas of memory to minimise issues from memory errors. Finally the balanced policy for power management is now aware of the deep processor power stage known as C-State, previously it has only been aware of the performance stage (P-State) with this increased awareness it will introduce additional power saving benefits and may also increase performance due to the nature of the turbo mode frequencies in the intel chipsets. Normally every year we hear how the monster VM can be bigger and better than last years monster VM, this year is no difference but with some introductions that have been long awaited by some. 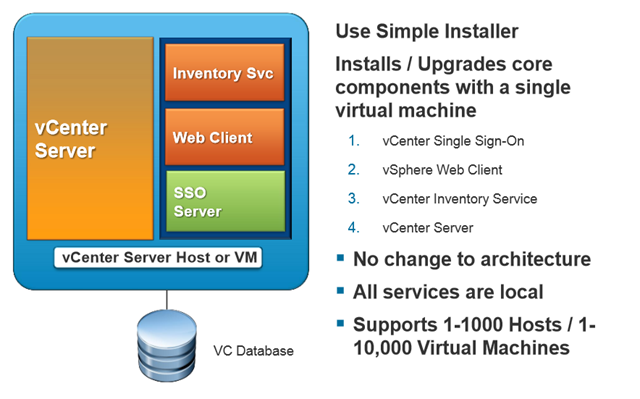 vSphere 5.5 brings another new virtual machine hardware version, version 10. Included in this version is a new virtual SATA controller, allowing up to 30 devices per controller, so with a maximum of 4 controllers per VM we can now support double the amount of disk devices from 60 to 120 per VM. As to what the use case would be for this number of disks i’m not sure, but if you have one let me know! In vSphere 5.1 we saw the introduction of support for hardware based GPUs but it was limited to NVIDIA based GPUs, with 5.5 we now are able to use both AMD and Intel based GPUs. There are three supported rendering modes, automatic, hardware and software and vMotion can still be leveraged even across hosts with GPU’s from different vendors. Check out the document linked to above for more detail on this. For the first time we are also seeing GPU acceleration for Linux in this release as well. One of the biggest improvements that I know the engineers I work with are going to love is the face that SSO has been re-built from the ground up, this was an area of much frustration since the release of 5.1. With 5.5 there is an improved multi-master architecture, built in replication and site awareness. On top of this there is now no database required and a much simplified one deployment model for all scenarios. VMware are now also publishing simplified recommendations for vCenter deployment options as follows. Another enhancement that I know will be popular with the community is the fact that the web client is now fully supported by Mac OSX meaning you now have remote console support as well as the ability to mount CD-ROMs etc. The usability of the web client has also been improved with support for drag and drop, additional filter support and a new recent items navigation view. The embedded database within the appliance that has previously been focused at small environments has been re-engineered to allow up to 500 hosts and 5000 virtual machines to be managed. Meaning this limitation to adoption is no longer a barrier, although as I understand it you will still need a Windows VM for the Update manager component which for a smaller environment does limit the desire to implement the Linux based appliance. Whilst vSphere Application HA has been around for some time it has always relied on third party technologies to actually monitor your applications, with 5.5 that has changed. With the new vSphere App HA feature it is possible to monitor and detect an issue with an application service, upon detection the service will be restarted, if that fails to resolve the issue the VM will be rebooted, this is also fully integrated with vSphere alerting to ensure you are aware of any resolved or unresolved issues. To deploy application HA you are required to deploy the AppHA and Hyperic Appliances, the AppHA appliance stores and manages the vSphere App HA policies and the Hyperic appliance monitors and enforces the policies. Once the appliances have been deployed a Hyperic agent is installed in the virtual machines whose applications will be protected by AppHA. The supported services listed in the beta documentation we as follows. It is good to see IIS, MSSQL and Apache on this list and it would be good to see MySQL supported in the future. I would also query the possibility of adding Domino and Exchange? 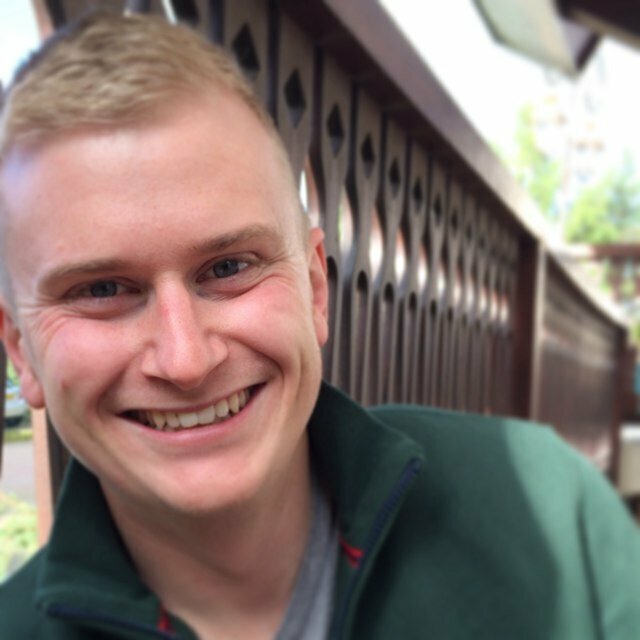 Whilst these applications as does SQL have many ways of protecting it itself the ease and simplicity of this solution would particularly be useful for protecting your email services in a smaller environment. Probably the most asked for feature for me especially since Hyper-V started supporting larger disks was the ability to create virtual machine hard disks bigger than 2TBs in size, with vSphere 5.5 we now have a vDisk and Virtual Mode RDM limit of 62TB. Whilst I believe there is usually better ways of storing large data for organisational and protection purposes there are still a lot of people that need disks a lot bigger than 2TBs. A number of improvements to enable the use of MSCS in virtualised environments, again this has been a sticking point with some of my customer in the past with 5.5 the following configurations are now supported. There is now true end to end support for 16GB FC. vSphere Replication has been enhanced to allow greater interoperability with storage vMotion and Storage DRS as well as the introduction of vSphere Replication Muti-Point-in-Time snapshot retention meaning we can keen historical recover points at the DR site to allow multiple different recovery options. My biggest gripe with vSphere Replication is the fact it doesn’t allow you to test failover like SRM, whilst I can understand why VMware don’t want to introduce this it still makes this feature unusable for me. Your DR plan is only as good as your last test! 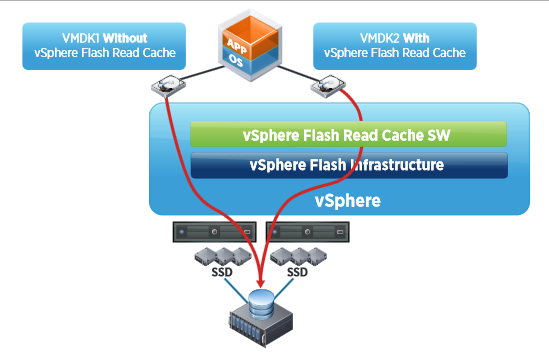 With vSphere 5.5 a new feature called Flash Read Cache has been introduced allowing performance enhancements for read intensive applications by pooling of multiple locally attached flash based devices into a single vSphere Flash Resource which is consumed in the same way as CPU and Memory are today. I will be blogging about this feature in more detail as soon as I can. There are a number of updates to networking for the distributed vSwith, check out the document above for more detail. Whilst many people may have been expecting to see vSphere 6 this year I don’t think the features in vSphere 5.5 will disappoint. I have not seen any updated licensing documents yet to fully understand where the new features will be sitting but we can expect many like the flash read cache to appear top end I would have thought. I will be digging a little deeper into this features as soon as I can as well as the new vSAN beta!